Those of you following the progress of the Foodbank will know how well it has been going, both in terms of the amount of food collected in and given out. It so encourages me every time I walk into reception and see some more bags of food which have been dropped off by some generous hearted individual. I don't want in any way to stop that, but have had a request from the foodbank team for some particular items over the next few weeks. I'll quote directly from the team: "We would like to ask for donations of Christmassy items that can be added to the food-boxes as they go out during the Advent season. Such items would be mince-pies, Christmas puddings, chocolates, sweets, tinned hams, selection boxes, fruit juices and Christmas crackers etc. We are attempting to stay away from perishable items as you can see and we'd like to have everything within its date-stamp period please". So please, next time you're out shopping, add one or more of these items to your shopping then drop them off at The Kerith Centre next time you're there. I heard this week of one local primary school where the teachers and teaching assistants instead of giving one another cards and gifts are going to bring in stuff for the foodbank - inspirational! Perhaps an idea for lifegroups and serving groups. This Sunday we start our Christmas programme with Kerith Relief. Each of these is an evening of music, dance, multimedia, three local primary schools singing and Catrina and I talking about Serenje and the true meaning of Christmas. They're great events to bring guests to, but even if you don't have a guest please plan to come anyway. The building will be packed with people who don't normally come to any of our meetings, and it will be a great opportunity to 'Walk Across the Room', step out of your circle of comfort and chat to somebody new. Or sign up as a volunteer and meet people as you welcome them in the car park, at the door, in the auditorium or as they get teas and coffees at the end. Just send an email to sue.ranger@kerith.co.uk - she'd love to hear from you! Please note these events start at 6.30 rather than our normal evening start time of 7, and that if you haven't got a car park pass you'll need to park at Avis. I thought you might like to see this from the Bracknell Forest Voluntary Action (BFVA) Autumn 2009 Newsletter. The Bracknell Forest voluntary and community sector is saddened by the recent death of our friend, Graham McMoneagle. He was a true gentleman in the finest sense of the word and for many years has taken an active role in local voluntary and community sector. We want to just highlight some of his areas of service. A committed Christian, he took seriously his commitment to serving others by taking an active role in the life of the Kerith Community Church. His big smile, when serving on reception, made everyone coming in feel personally welcomed. One of Graham’s lasting achievements is the impact on our community of the disability forum. This grew from Graham’s enthusiasm for life and determination to make living better for those with any kind of need. He had great presence, was ‘on the ball’ in knowing what was going on and talked to others with purpose and fervour to achieve what was good. Our thoughts are with Graham's wife, Sandra, and his family and friends. We hope that it will bring some comfort to know that he has left his mark on the life of Bracknell Forest and will be missed by many. Just a reminder that this Sunday is week two of our Serenje gift days. We're hoping to raise £100,000 through both one off gifts and standing orders over the next twelve months. Please give generously. 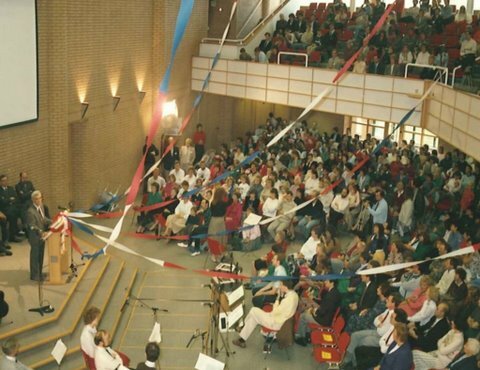 This Sunday also marks week two of remembering the opening of The Kerith Centre 20 years ago. Ben Davies was outstanding and inspirational last weekend, and having seen the outline of what he intends to say this week I don't think it's going to be any different. It must have been two years ago that I first read John Burke's book "No Perfect People Allowed". It had as big an impact on me in terms of understanding what true Christian community looks like as Phillip Yancey's book "What's So Amazing About Grace" did when it comes to my personal relationship with God, and has shaped much of the way I think about where we are going. Not long after reading John Burke's book I started praying that God would make it possible for him to come and speak in Bracknell. I was inspired by Ben when he wrote to Erwin McManus asking him to come and speak (which he did), but it still seemed like a huge ask. Well God has answered that prayer. 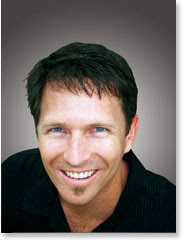 John is coming to us to do a Willow Creek Seminar on Friday 26th February 2009, and then will be speaking in our two morning meetings on Sunday 28th (he then has to fly off to Denmark in the afternoon so can't speak in the evening). I can't tell you how excited I am about John coming. If there was a way in a blog of expressing "very excited" this blog would be full of them, but unfortunately there isn't so you'll just have to imagine it! Please can I encourage as many of you as possible to book into the seminar. It won't just be for leaders but for everyone who wants to live a life that makes a genuine impact on those far from Christ. I'll publish details on exactly how to sign up for the seminar, and any volunteer opportunities, nearer the time. I've decided to give Twitter a go. I often have moments where I have an idea of something I want to blog on, but don't quite get round to it, and then the moment passes. With twitter postings being limited to 140 characters I think I'll be more likely to do one of these micro-blogs, rather than just leaving behind a trail of good intentions! The general feedback I get is that people find the whole blog think interesting and useful, so hopefully this will add to the experience. The nerds (like me) amongst you might be interested to know that rather than using Microsoft Windows I've installed an alternative free operating system on it called Ubuntu. I'm not going to get into a debate about the relative merits of Windows and Ubuntu (especially when I have friends who work for Microsoft! ), but instead wanted to tell you about something I read this week in a book called "The Monkey and the Fish" which was written by one of this years Willow Leadership Summit speakers, Dave Gibbons. I want to challenge you to spend five minutes meditating on these words. Is this really God's dream? How much ubuntu did Jesus demonstrate through his life? How is your ubuntu level? What would it mean for you today to bring a little more ubuntu into your day? How could you practically make that happen. On the 15th and 22nd November we're going to be having gift days for year two of the HIV/AIDS project we're supporting in Serenje in Zambia. You can get more details on the whole of the project from our Serenje blog, from our website or by picking up one of the new Serenje leaflets from reception. I want to encourage everyone to think and pray about what they are going to give. I met with the elders yesterday, and between us we have pledged to give just over £11,000 including Gift Aid, some of that as one off gifts and some as standing orders over the next year. I really believe that if we all give what we can then we can reach the target of £100,000. So please give what you can, whether that's £1, £100 or £10,000. What we are doing is changing lives. At the end of year one 190 children were back in education. By the end of year two the plan is for that number to rise to 800. That alone is transformational, without taking into account the seeds and goats being given to families in need and the volunteers being trained to help those with HIV. Lots of people have been asking me how the foodbank, which we launched just over a month ago, is going. I gave a brief update on Sunday, but I thought it would be useful to repeat it again here for anyone who missed it. I think it's fair to say that on pretty much every front the foodbank has exceeded our expectations. We initially allocated a cupboard in the the back corridor of The Kerith Centre to store the food in. Well the first primary school to donate their Harvest Festival collection to us managed to fill that cupboard! In total we've now had over 4 tonnes of food donated by local schools, people in our church community and others who have heard about what we're doing and just want to get involved. We've now got two storage rooms in Wokingham, but are hoping soon to get a bigger storage facility in Bracknell. In terms of what has gone out we've had over 40 individuals or families who have been given food, with a total of over 600Kg of food given away. And there's been a growing take up of organisations in Bracknell keen to partner with us and make use of the foodbank on behalf of the people they work with. It looks like in our first year of operation we'll give away somewhere between 6 and 8 tonnes of food, although I suspect that will go up. If you want to check out the latest news then take a look at the foodbank news section on the website. But for me it's not about the numbers but about the individual stories. To know that tonight there are children and adults in our community who would have gone to bed hungry, but instead have had a decent meal - very exciting! I want to say a huge thank you to everyone who's helped us get this far. Whether you've given food, worked as a volunteer, prayed for the foodbank or given your money to our general offering on a Sunday you are a part of what God is doing. Finally to say a word about Pat Hallett, our foodbank manager, who is doing a magnificent job in heading up all of this. Please be praying for Pat, and her husband Geoff, and next time you see them just let them know what a fantastic job they are doing. First of all that we've got prayer meetings on Wednesday and Thursday this week. I could tell you about all the things we're going to be thanking God for, praying for and some of the vision we'll be sharing, but instead I just want to encourage you to come and enjoy spending time in God's presence! Secondly that this Sunday we're going to be baptising people in all three meetings. If you've decided to follow Jesus, but haven't yet been baptised in water, then please can I encourage you to get baptised. Or perhaps there's someone in your lifegroup or serving group who hasn't yet been baptised, and they just need a bit of encouragement to help them take that next step. Either way please phone Lee Layton-Matthews in the office as he's coordinating the baptisms. Hope to see you on Wednesday or Thursday. I 'd encourage anyone who missed our Remembrance Day meetings this Sunday to listen to the podcast. We record the 11am meeting, which means that you'll get to hear Clive Challis reading some of his Grandfathers diaries describing life in the trenches in the First World War, and Krystyna Lysakowska recounting childhood memories of her and her family fleeing Warsaw in 1944 as the Nazi soldiers attempted to deport them to the concentration camps. But you'll miss Dave Barker who spoke in the evening on his experience of seeing his friends killed in action, and the importance of the work of The British Legion. All three were outstanding, and hopefully we'll find a future occasion where we can hear more of all three stories. Thanks to John Mitchell who took the photos of Clive, Krystyna and Dave. And to Geoff Hawke, another of our unsung heroes, who week after week edits and uploads the podcasts - both of you are so appreciated! Ben Davies and Ben Oliver are in Poland this weekend visiting the two churches we work with there. I've copied below an email I got from Ben Oliver on Friday about how things are going. Let's be praying for them, and for Ken and Ann Bothamley who are in Turkey - more info on what Ken and Ann are up to on their blog. Today we've met with the leaders in Swidnica and made plans for the rest of our visit. We both spoke at a soup kitchen run for the homeless in the church buildings. It's run by another Ania (the one playing the guitar) and it's fantastic. Many of the people who come are alcoholics or drug addicts. Every week they come to the church and receive soup, some truth about Jesus and a lot of love. They've just started their first Life Group for these folks, which is going really well, bridging the gap between the soup kitchen and the rest of the church by building community and breaking down the social barriers. Some of them are coming on Sundays now, too. The photo shows us attempting to sing "There's no-one, there's no-one like Jesus" in Polish. We have 3 choices in this kind of situation: 1) Sing in English as much as we remember the words (a bit sporadic); 2) attempt to read Polish (no chance); 3) Hum along to the music (not really entering into the occasion with enough gusto). We found a combination of all 3 whilst smiling joyfully seemed to work well! Tonight and tomorrow Ben Davies will be training the leaders from Swidnica where we're staying and we'll also be joined by leaders from another church. You should see the enthusiasm with which Ben is welcomed here. They love him and he does them so much good. This other church I mentioned is led by Dawid's parents - Dawid is spending the year with us in Bracknell, helping John Turner with our facilities, and has come home with us for the long weekend. John made me promise to bring him back, as there's still plenty for him to do on his return. John, I will try my hardest, but you should have seen Dawid's shaking with anticipation as we arrived at the thought of a home cooked Polish meal! 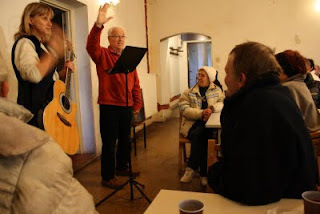 Finally Ben D will be preaching in the Swidnica church on Sunday morning, before we are whisked off to the airport to begin our journey home. It's wonderful to see the growing relationships between our church and these in Poland, and the impact that our experience, our time and our financial support is having. They are hungry to learn, and there is much more to come. Bring it on! Last Saturday Andy Jackson (our wondrous Christians Against Poverty Centre Manager) made the jump from being quoted in local newspapers and local radio on the impact of the credit crunch to a spot in the Financial Times. Whooooo I hear you all say!! Next up the Wall Street Journal! But seriously, it is a great validation of the work that CAP are doing nationally, and that Andy and his team are doing locally, that we are being asked to comment by papers like the FT. We've talked for years about the church being the head and not the tail, well this would be a great example of that becoming reality. I just feel so grateful to everyone in our community who has supported CAP either as a support worker, in prayer or through your regular Sunday giving as you are all part of this story. I turned on the radio this morning to hear that another five British soldiers had been killed in Afghanistan. My thoughts went straight to those five groups of families and friends, who on hearing the news will have had their worlds turned upside down. For whom everything that seemed important will suddenly seem irrelevant and pointless in the face of coming to terms with their loss. For parents, wives and children who will forever be defined by this moment of pure evil. This Sunday as part of our "Remember" series we'll be remembering all those who have given their lives for the freedoms we enjoy, from the First World War to the current day. We will also be having two minutes silence in all three meetings, and thinking about what we as individuals can do to make sure freedoms won at such as cost are never lost, or just allowed to slip away. I was reminded of that so powerfully when I visited Auschwitz this year, and saw first hand what happens when evil goes unchecked. Please can I also encourage everyone to buy a poppy and give to the work of The Royal British Legion. We've got poppies on sale in The Kerith Centre Reception this year if you haven't got one already. I hope you can make it on Sunday.